Boutique Rare Acreage Community in the Heart of Caboolture! Have you been dreaming of acreage living but with all the conveniences of inner city living? Discover QM Properties newest estate – Hammond Crossing. Hammond Crossing estate has a limited 15 level, easy to build on 3000sqm lots available, priced from only $305,000. These large, level lots offer all the lifestyle benefits of NBN, town water, and underground power. All lots have generous frontages that can easily accommodate even the widest of housing styles and facilitate vehicle access to the rear of the property, perfect for caravan and boat owners. 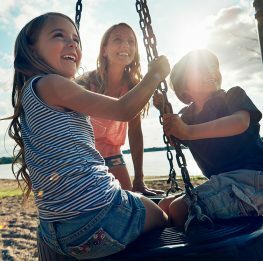 Residents will enjoy the best of acreage living in this exclusive community, with all key amenities located a short drive away in the vibrant commercial hub of Caboolture, including a range of public and private schools, Caboolture Town Square, Woolworths, Coles, and much more. With so much to discover, don’t miss your chance to escape and register your interest today! Brand New QM Website Launching Soon! QM Properties is excited to announce the launch of our brand new website. The new site will be going live late next week and boasts updated functionality plus a clean, new design. Intuitive and consistent site-wide navigation will help you find your way around with ease. Users will be able to access our current, previous and past projects, explore our range of display homes, locate our sales offices and stay up to date with our latest news, events and blog posts. Another exciting new feature is the ability to access our huge range of property listings across all of our projects. Finding your dream QM property has never been easier! The new site is fully responsive, allowing easy navigation on a wide range of devices and web browsers. We invite you to take a look around the site next late week and learn more about us! Burrowed in the southern outskirts of the flourishing town of Jimboomba, Mahoney’s Pocket offers unique country living with all the benefits of city convenience. Mahoney’s Pocket’s affordable and level acreage lots range from 1 acre to 4 acres, with prices starting from $259,000. All lots are NBN ready, have full pressure town water and underground power. A range of home and land packages are also available starting from $475,000. Mahoney’s Pocket is also ideal for growing families. Schools, shopping centres, local markets and public transport are all only a quick drive away. Residents are close to the bustling town centres of both Jimboomba and Beaudesert, as well as being only an hour from Brisbane. Don’t miss out on the last acreage development in this area and enquire now! Pacific Harbour and Telstra are proud to present A FREE outdoor screening of the Academy Award winning, Disney Pixar film, Coco. Join us on Saturday the 13th of October at 6pm at the new park opposite the Pacific Harbour Display Village. Bring the family, visit the Display Village, and then set up your picnic blanket to enjoy a free outdoor movie under the stars. Food and drinks will be available for purchase thanks to the Pacific Harbour Golf & Country Club or you are welcome to bring your own picnic. The BBQ will be starting from 4:30pm and the menu will include BBQ hotdogs $4 and cheeseburgers $8. For more information visit our website now! As the only freehold land available on South Stradbroke Island, this is your chance to be one of the privileged few lucky enough to call this beautiful island home. Situated only 15 minutes from the Coomera Waters Marina and 20 minutes from Runaway Bay, South Stradbroke Island Waters unquestionably provides the best of both worlds. There are a limited number of waterfront allotments available in this release, including a 944sqm lot that is drastically reduced to only $414,000 ono. All lots are equipped with full pressure town water as well as natural gas and sewerage. You can live comfortably surrounded by true natural beauty. 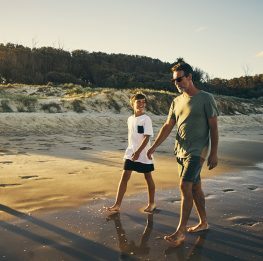 Residents of South Stradbroke Island Waters enjoy full vehicle access on the island, making surfing and fishing trips a breeze. Don’t miss out on the most exclusive island real estate in Queensland – enquire today! Coomera Waters – Final stage 28 available soon, reserve your lot now from only $299,000 to $350,000 for 450sqm-750sqm lots – 19 lots secured already so don’t miss out! Coomera Waters – Panoramic views from exclusive gated “Quest” precinct, huge 1,518sqm lot only $425,000 with views that can never be built out – Only 3 lots remain unsold! South Stradbroke Island Waters – Superb 925m2 waterfront land with own beach now reduced to $414,000, just 10 minutes by boat to Coomera Waters Marina. – selling fast and now only a handful of lots remain. Coomera Waters – Final waterfront, canal release at Sovereign Lane from $550,000, direct access to Broadwater and central to the Coomera Marina Village – Only 4 waterfront lots remaining! Coomera Quays – Luxury 4 bed home + study house and land package on a large 644sqm landscaped waterfront allotment includes pontoon and in ground pool $833,500. Gold Coast – FINAL RELEASE stage 3, exclusive Gold Coast acreage lots adjacent to the Nerang National Park and close to schools and shopping centres from $375,000 for huge 9,620m2 acreage lots, selling fast, now only 4 lots still available! Coomera Quays – Large, level 644sqm waterfront home site with pontoon discounted to $562,500 for this month ONLY! Short walk to restaurants, IGA and waterfront tavern. Pacific Cove – New 4 bed family home opposite parkland on large 560sqm lot for $469,000.